In the 1790s, Ulster County was one of the top four slave-holding counties in New York State. 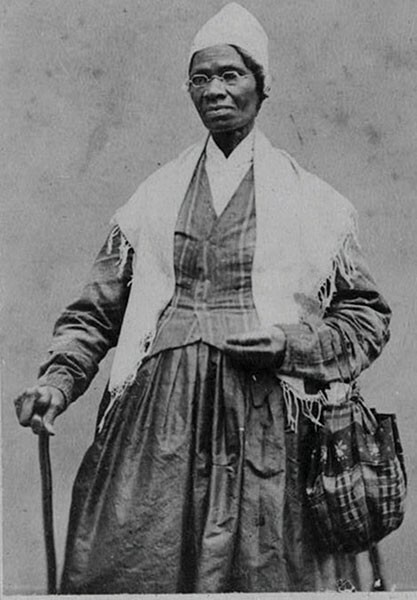 During that time, Sojourner Truth was born a slave named Isabella near Rosendale. She never learned to read or write. In 1826, she escaped with her infant daughter. In 1843, she changed her name, and vowed to travel and preach the truth, speaking against injustice. She traveled the country for over 40 years as a human rights advocate fighting for abolition, women's rights, and prison reform. Truth's personal writings inspired anthropological archaeologists Wendy Harris and Arnold Pickman to study historic maps, deeds, wills, contemporary narrative accounts, church records, and census manuscripts to uncover the significance of the presence of African-Americans in the development of the Hudson Valley during the late 18th and early 19th centuries. The presentation and slideshow "Where Slavery Died Hard: The Forgotten History of Ulster County and the Shawangunk Region" will be held at the Cragsmoor Historical Society on Saturday, June 4, at 4pm.